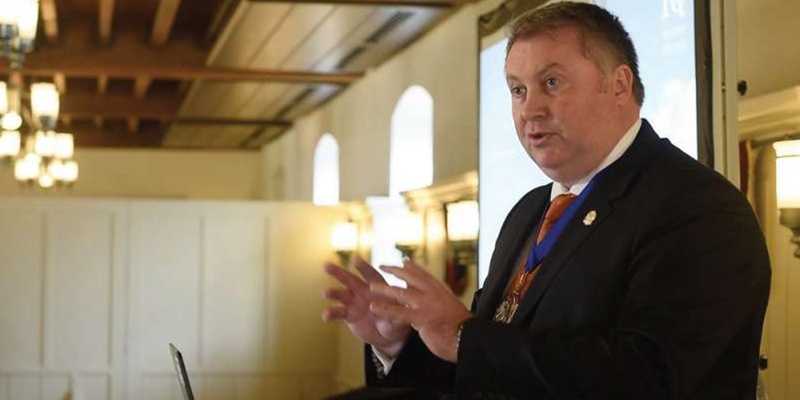 Attendees at this year’s Institute of Quarrying (IQ) Fellows Dinner at the Tower of London were served up much more than culinary delights, as plans for the organisation’s future strategic and operational direction were unveiled. Incoming IQ president Phil Redmond presented IQ’s ‘Creating Future Leaders’ roadmap for future success. The new strategy distils IQ’s aspirations to become a leading international membership organisation, representing the interests and professional development of people working in the mineral extractives sector around the globe. 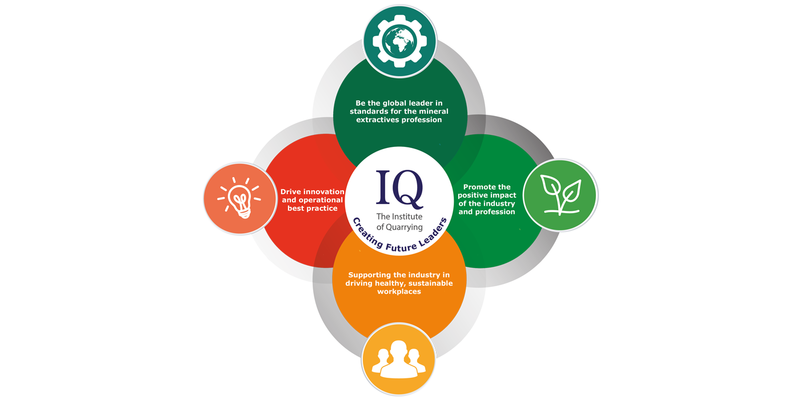 The four cornerstones of IQ’s new strategy include becoming the global leader in standards for the sector, driving innovation and operational best practice, supporting the industry in driving healthy, sustainable workplaces and promoting the positive impact of the industry and profession. James Thorne is IQ’s chief executive officer. He is passionate about making the Institute fit for purpose and a keen advocate of harnessing today’s technologies as an enabler of professional development: “The digitalization of business is changing the way we all live and work. A decade or so ago online shopping was for the brave; now it’s the mode most preferred by many. And the way we access information has changed too; smartphones and tablets usurping desktop and laptop computers. “So we need to show we are ahead of the curve to our members, delivering content when and where it’s most convenient. Just think of the opportunities that opens up for our future reach and growth. We need to build our brand internationally with employers so we are recognised as delivering sector leading standards. That includes establishing the IQ SKills Wheel as the competence and capability benchmark for mineral extractives professionals. An internal restructuring of IQ to support the new strategy sees Sarah Fry, previously IQ’s Business Development and Communications Manager move to Head of Membership and Marketing. Sarah’s new role covers the development and delivery of a plan for the growth of the Institute’s membership, communications activities in the UK and overseas, ensuring that membership services are aligned and linked with the Institute’s education services, as well as helping to develop and manage relationships with key stakeholder organisations. You can download our Creating Future Leaders strategy flyer here.